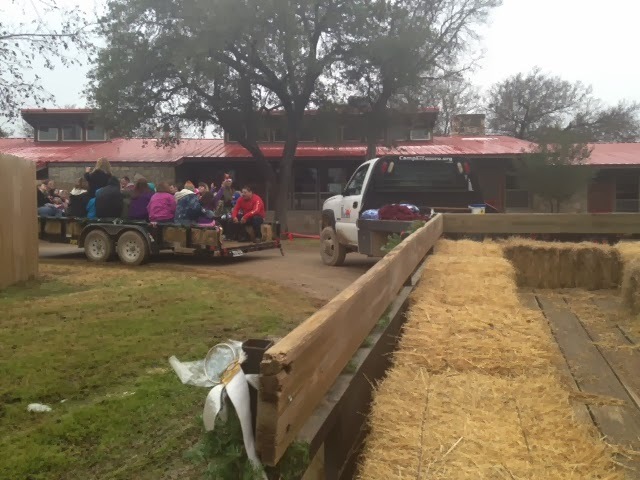 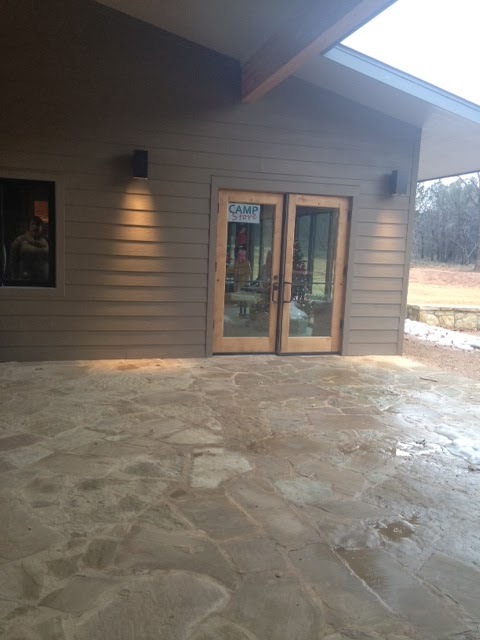 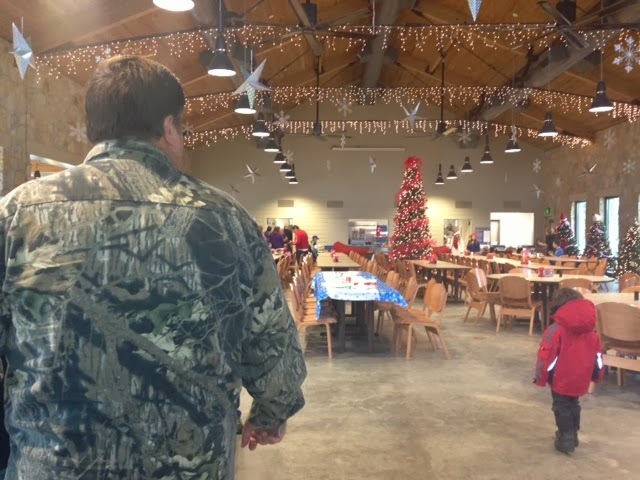 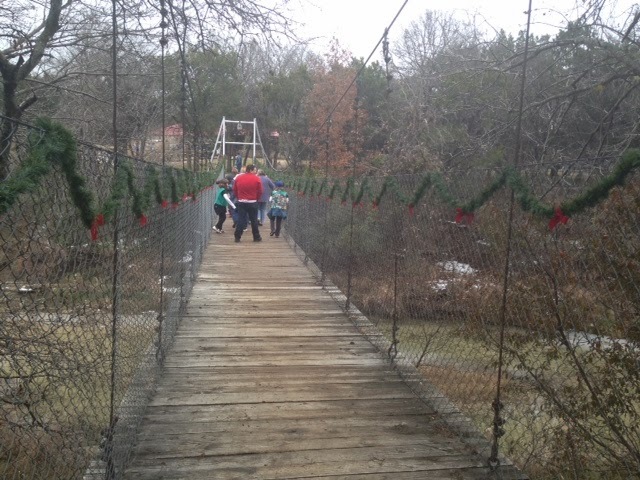 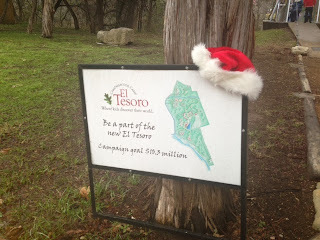 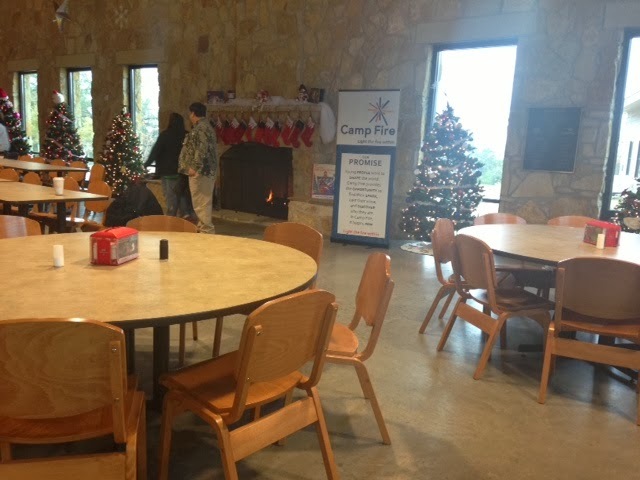 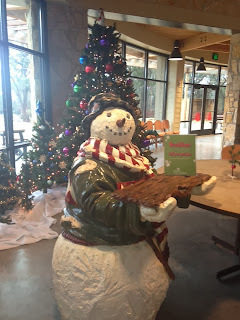 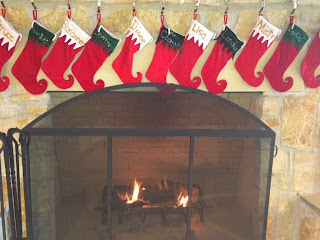 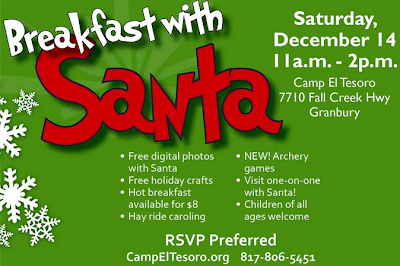 On Saturday, December 14th, we attended the "Breakfast with Santa" at Camp Tesoro in Granbury, TX. 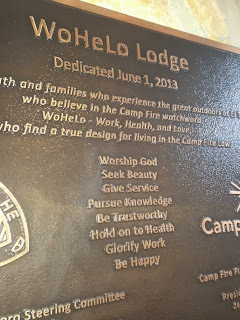 When we arrived, we parked our cars and checked in. 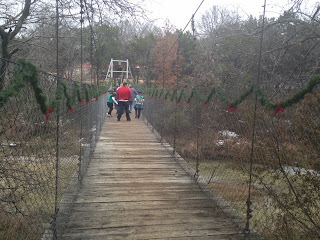 Then we walked across a bridge..
And then we took a hayride to the Wo-He-Lo Lodge (around 1/2 a mile away from our cars). 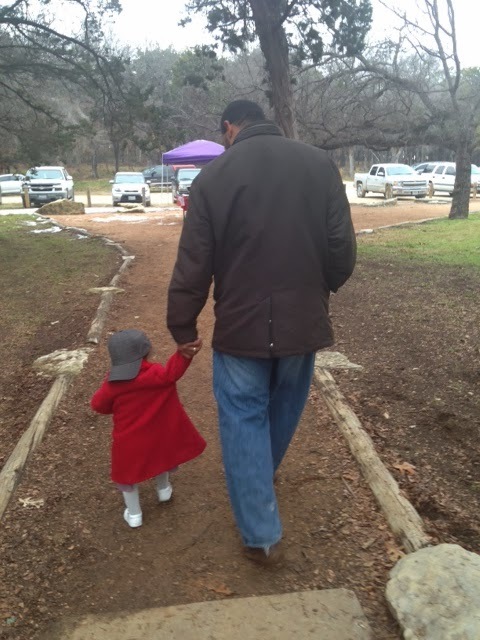 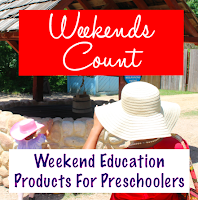 Neat adventure for our little one! 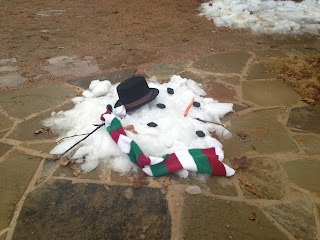 When we arrived, we saw a melted snowman! 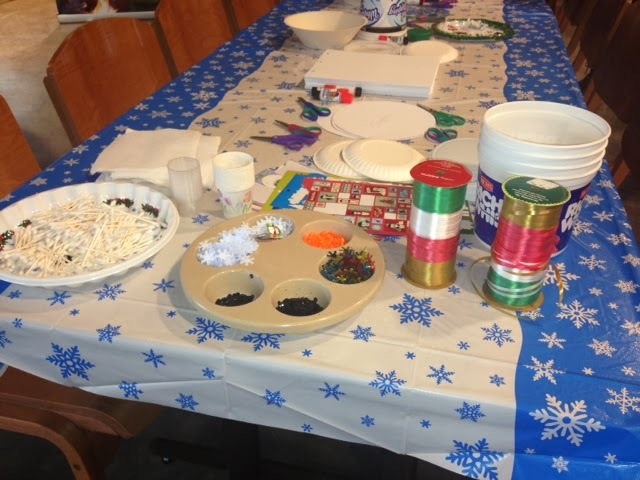 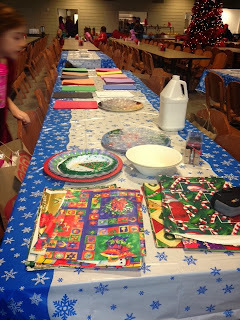 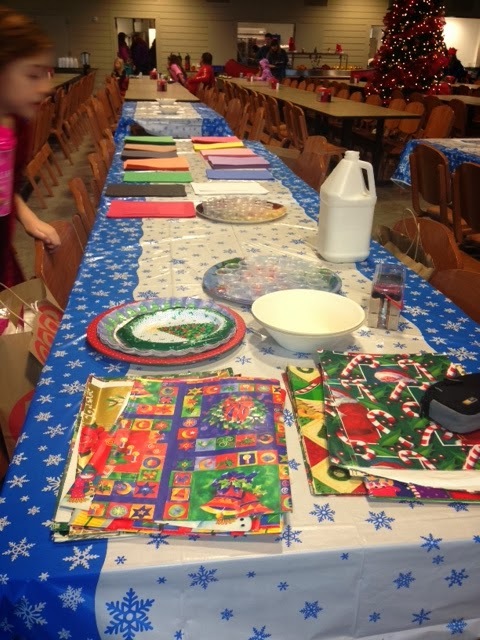 Then, we had breakfast and completed several crafts! 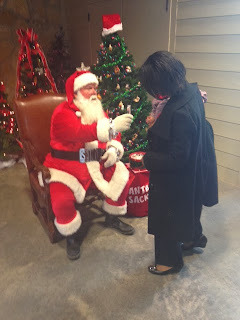 Finally, we took a classic picture with Santa. 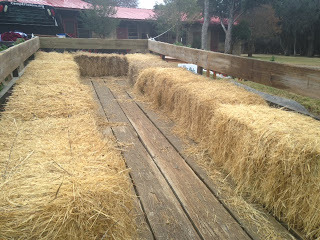 These pictures will be the uploaded on Flickr later this week! :) I cannot wait to see our pictures! 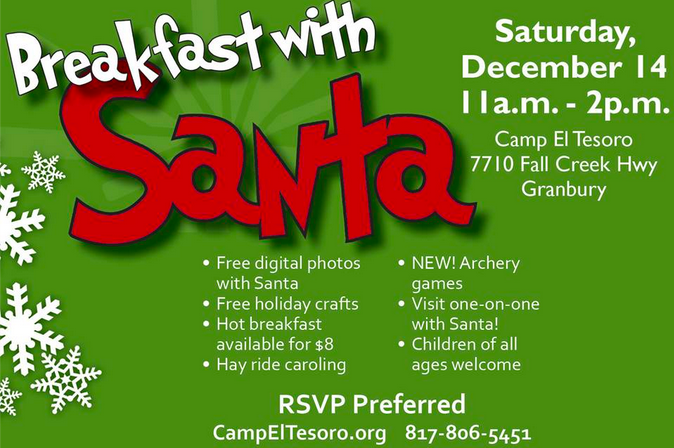 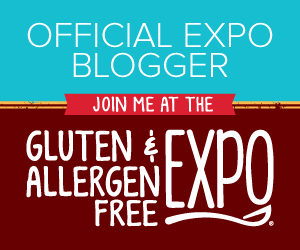 I am definitely adding this event to our family's "must do" list next year! We really enjoyed it!